Sinclair Broadcast Group is facing a new delay in its plan to buy Tribune Media and add more local stations to its stable. The FCC will now consider hold a hearing about what Pai described as "disputed issues" in the purchase plan — a process that would include an administrative law judge. The news adds another delay to the proposed takeover and could put in jeopardy the plans by Sinclair — already the nation's largest TV station owner — to add more local stations to its stable. The media company, known for its conservative leanings, had expected to finalize the Tribune deal by the end of 2017. 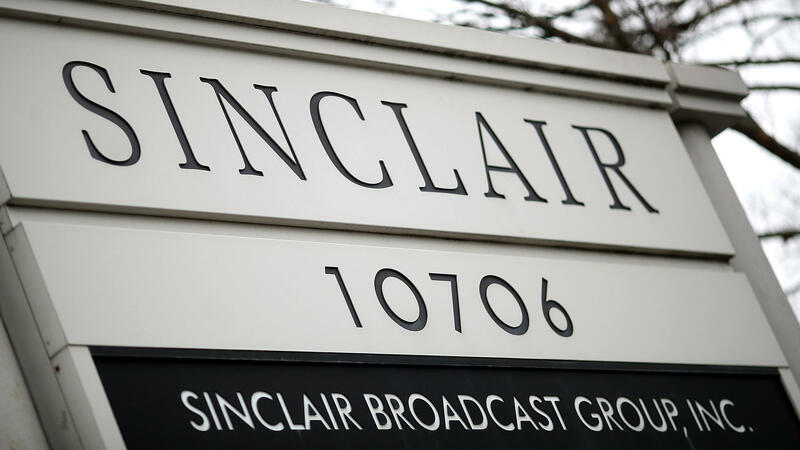 "The Smith family that controls Sinclair is aggressively friendly to President Trump, but the deal raised hackles on the right and left," NPR's David Folkenflik reports for our Newscast unit. "Sinclair already owns or controls more than 190 stations; it wanted to buy more than 30 more from Tribune Media." To satisfy regulators, the media giant had planned to sell off some stations, but David reports that those stations would have gone to companies with close ties to the Smith family. The Sinclair media buyout was announced last spring, shortly after the FCC, under Pai's leadership, approved a plan relaxing its rules about how many stations a single company can own. That shift also prompted the FCC's inspector general to look into how the rules change came about. In its investor summary about the proposed Tribune purchase, Sinclair said that the combined company would have "72 percent household coverage across 108 markets" in the U.S.
Sinclair's reach and power made headlines in April when it ordered dozens of TV anchors to read the same speech during their broadcasts, warning against "biased and false news."